Fasenra is approved in the US as an add-on maintenance treatment for patients with severe asthma aged 12 years and older. Image courtesy of AsraZeneca. The eosinophils present in severe asthma patients are responsible for the increasing severity, decreasing lung function, and increasing risk of exacerbation. Image courtesy of BruceBlaus. 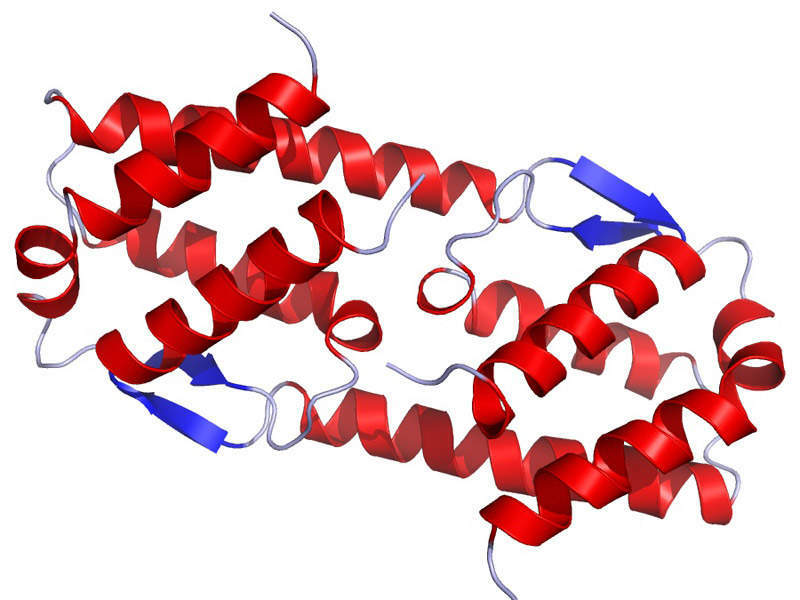 The drug binds to the alpha subunit of the human interleukin-5 receptor on eosinophils. 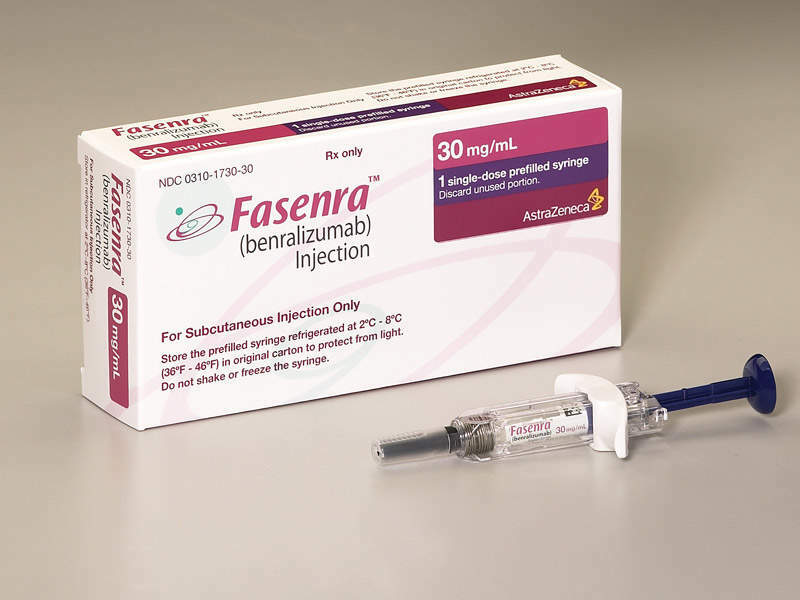 Fasenra (benralizumab) is a monoclonal antibody (mAb) indicated for the treatment of severe eosinophilic asthma in patients aged 12 years and older. The drug was developed by AstraZeneca and its global biologics research and development (R&D) arm MedImmune. Fasenra was approved by the US Food and Drug Administration (FDA) as an add-on maintenance treatment in November 2017. 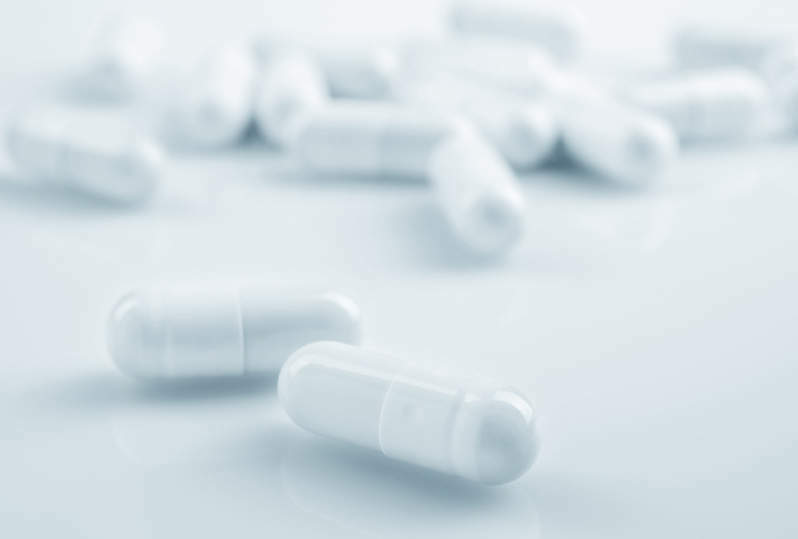 The drug received positive opinion from the Committee for Medicinal Products for Human Use (CHMP) of the European Medicines Agency (EMA) for recommending the marketing authorisation application (MAA) in November 2017. The European Commission (EC) granted marketing authorisation (MA) for Fasenra in January 2018. Fasenra was also approved by regulatory authorities in Japan in January 2018. A similar medication available for the treatment of asthma is Cinqair (reslizumab), which is developed by Teva Pharmaceuticals. 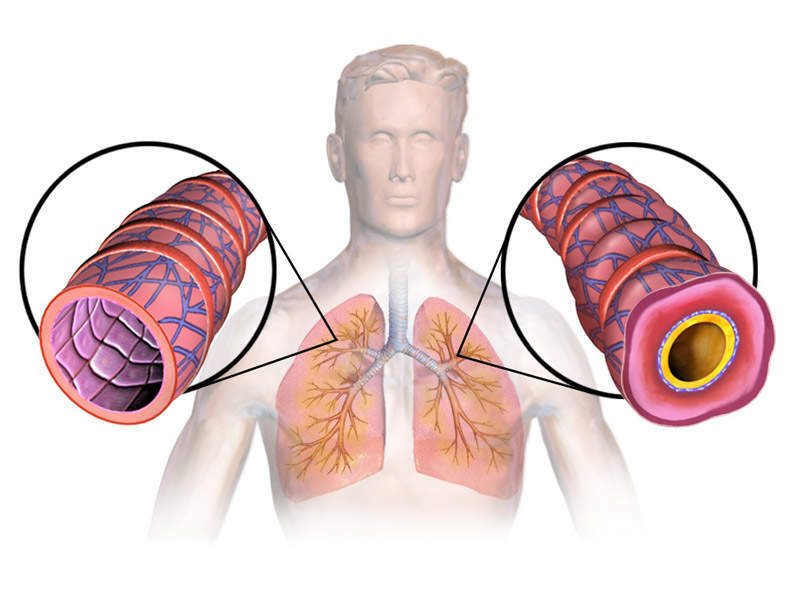 Asthma is a respiratory disease characterised by recurrent breathlessness and wheezing. It is a long-term inflammatory disease involving the airways in the lungs. Symptoms include episodes of wheezing, coughing, chest tightness, and shortness of breath. The eosinophils present in approximately 50% of severe asthma patients are associated with increased asthma severity and symptoms, decreased lung function and increased risk of exacerbation. An estimated 315 million people are affected by asthma worldwide and around 10% have a severe form of the disease that is uncontrollable despite high doses of standard asthma controller medicines with oral corticosteroids. Uncontrolled asthma has a higher risk of mortality than controlled severe asthma. Fasenra contains a mAb that directly binds to the alpha subunit of the human interleukin-5 receptor on eosinophils and draws natural killer cells to encourage programmed cell death. The drug is available in 30mg dose as subcutaneous injection. Approvals from the FDA and European Commission (EC) were based on results obtained from the WINDWARD programme, which comprised Phase III clinical trials SIROCCO, CALIMA, ZONDA, BISE, BORA and GREGALE. The studies enrolled 2,730 patients across 26 countries. Pivotal clinical trials SIROCCO and CALIMA were randomised, double-blind, parallel-group, placebo-controlled trials that enrolled 2,510 asthma patients to evaluate the safety and efficacy of Fasenra fixed 30mg dose subcutaneous injection for 56 weeks in comparison with placebo. The patients were dependent on high-dose inhaled corticosteroids (ICS) plus long-acting β2-agonist (LABA) with a baseline blood eosinophil count of more than or equal to 300 cells/microliter. The results of the studies demonstrated that Fasenra 30mg was well tolerated and achieved the primary endpoint. It also showed significant reductions in the annual asthma exacerbation rate compared to placebo. Phase III clinical trial ZONDA was conducted to evaluate the effect of a 30mg dose of Fasenra administered in an eight four-week dosing regimen for 28 weeks in adult patients with severe, uncontrolled eosinophilic asthma, who received high-dose ICS or LABA and oral corticosteroids (OCS) with or without additional asthma controllers. The results of the study showed that the addition of Fasenra (30mg) to standard-of-care allowed patients dependent on OCS to significantly decrease or withdraw steroids while maintaining asthma control. The primary efficacy endpoint of demonstrating statistically significant and clinically relevant reduction in daily maintenance OCS was achieved. The study showed that the patients treated with Fasenra achieved a median reduction in OCS dose of 75%. The most common adverse events reported during the clinical study in Fasenra-administered patients were nasopharyngitis, worsening asthma and bronchitis.